When Spring springs it’s time to give the office a deep clean. It is a well-known fact that offices are magnets for dust, dirt and germs, making periodical intensive cleaning programs essential, but springtime is an especially valuable opportunity to freshen up the workplace with a deep clean before the busy summer months arrive. What is an Office Deep Clean? Office carpets shampooed – While your regular cleaning routines will no doubt include vacuuming your carpets on a daily or weekly basis, carpets become full of ingrained dirt and stains over time. Carpet shampooing removes dirt from deep within the pile, making it more hygienic and keeping it looking smart. Of course, this is a big job and so cannot easily be done as part of a regular cleaning routine. Kitchens and toilets deep-cleaned and disinfected – Again, this will involve a far more intensive clean than the usual wipe-round and mop. Appliances and facilities will be cleaned inside and out, ensuring every surface, nook and cranny is sparkling and germ-free. Tiled floors scrubbed and polished – More than just a quick mop-round, a deep clean will buff off any stubborn marks and stains and brighten grouting so tiled floors look as though they’re freshly laid. IT equipment (keyboards, mice and screens) disinfected – A time-consuming task that is often missed during the routine cleaning, yet these are the places that harbour the most dust and harmful germs. Entrance weather mats and elevator mats installed or replaced – These high traffic areas are often neglected and can begin to look shabby after a few months. Replacing them regularly is recommended, especially at the change of the season. More in-depth cleaning in and around reception areas – Getting into all the areas that are usually missed during routine cleans, a reception deep clean will ensure your building makes a great first impression. Window Cleaning (inside and out) – Windows are often missed, particularly in small, independent office buildings. And even those whose windows are cleaned on the outside often don’t get cleaned on the inside. This is where a thorough window clean becomes essential for removing streaks and rain marks. Cleaning during the spring season has become a real tradition, and for good reason. The long, dark winter months are finally behind us and we collectively feel more energised, positive and productive. Over the winter the UK’s offices are bombarded with wind, snow, rain and muddy footprints, meaning the levels of dirt on floors, carpets and windows are often at a peak. Getting rid of winter’s grime build-ups is one good reason for a spring deep clean, but there’s also the small matter of the approaching summer to think about. Summer brings its own set of unique challenges for office cleanliness and staff health. Pollen build-ups are common at this time of year, often leading to allergies and other associated health risks, and the warmer weather leads to higher humidity levels, which in turn lead to the faster multiplication of harmful bacteria. With these factors in mind it is essential that you give your office a deep clean before these issues begin to increase dirt levels even more. Springtime is also a key opportunity for giving staff an extra morale boost. 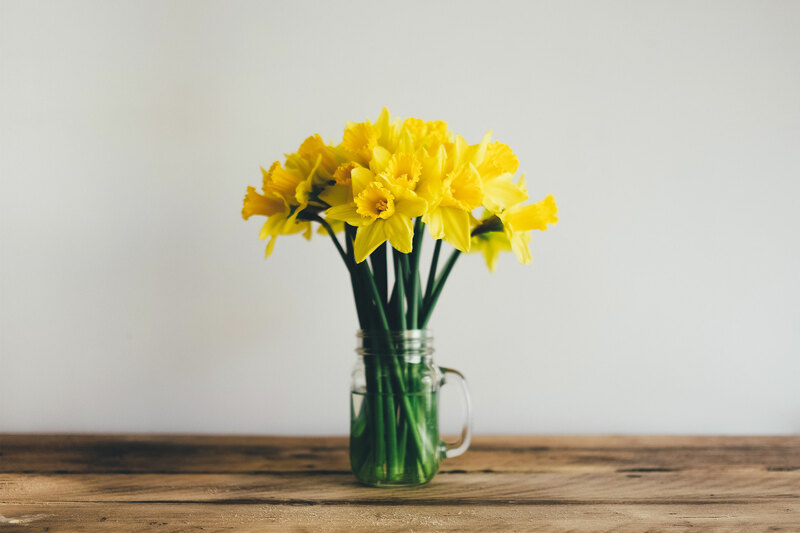 Spirits will already be on the rise with the arrival of gradually lighter evenings and the warmer weather, so taking advantage of this with a well-timed office spring clean is a great way to boost morale and productivity further, while also showing your staff that you care about their health and wellbeing in the workplace. And finally, summer is often a very busy time of year for many businesses, which tend to see an upturn in expected output and activity. The lead up to this important season can often be stressful for staff, so ensuring the office is as pleasant and comfortable as possible is incredibly important for staff motivation and productivity. With the arrival of the summer months comes an increase in opportunities for hosting customers and clients in the office, with many companies choosing to entertain and treat clients to BBQs and parties. It is essential, therefore, to give the office and the building a spring clean before the summer arrives to ensure all areas are spotless and spruced up ready to make a good impression on your important visitors. As well as boosting staff morale, health and productivity, having a sparklingly clean office environment will show your business to be professional and appealing in the eyes of your customers and clients, which will ultimately lead to better, longer-lasting client relationships and potentially some positive word of mouth reputation building. In this sense, a springtime office deep clean is just as much of an investment as it is a healthy necessity. So, if you’re thinking of treating your office to a deep spring clean before the busy summer months arrive, simply give us a call on 01707 322 228 or email us at info@birkingroup.co.uk and tell us what you need.